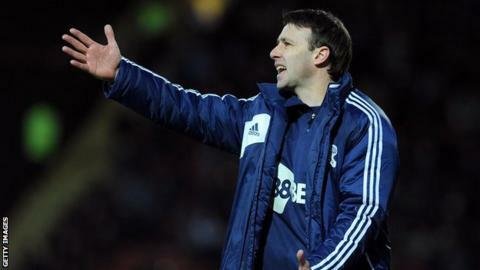 Manager Dougie Freedman has said he is not concerned by Bolton's lowly position in the Championship. saw Wanderers drop to 20th in the table, three points above the drop zone. But Freedman, who was appointed in October, told BBC Radio Manchester that he does not think the club will be dragged into a relegation battle. "I don't think that way and anyone who wants to help the club shouldn't think that way either," said the 38-year-old. "I'm more concerned about us winning games of football. We're not far away from these teams. "We just need that little bit of luck. I've been here 1,000 times as a player and a manager. We've got the qualities in the squad to springboard us up the league. "We're in a difficult moment where we feel everything is going against us. We'll regroup, we stand together and we'll springboard up, no problem." Bolton have won five, drawn nine and lost seven of their 21 games in all competitions since Freedman replaced Owen Coyle as manager at the Reebok Stadium.